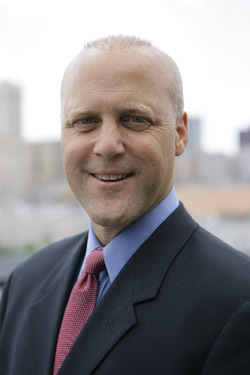 NEW ORLEANS - New Orleans Mayor Mitch Landrieu announced a series of community meetings in each council district to discuss 2015 budget priorities beginning with District C on Monday, August, 18. These meetings are intended to gather input as part of the Budgeting for Outcomes process. "Four years ago, we started these meetings to ensure that the people of New Orleans were included in the budgeting process," said Mayor Mitch Landrieu. "These meetings allow us to hear directly from New Orleanians on what their priorities are, and allow us to stick to our budgeting principles: cut smart, reorganize, and invest in the future." The Budgeting for Outcomes process aims to produce a more citizen-driven budget and to ensure improved government performance and accountability. A national best practice, the Budgeting for Outcomes system encourages city agencies to invest public resources based on the end result the City wants to achieve. The Mayor will host one meeting with the district councilmember in each council district. The Mayor and Councilmembers will be joined by Deputy Mayors, NOPD Superintendent Ronal Serpas, NOFD Superintendent Tim McConnell and department and agency heads. All community meetings will start at 6:00 p.m. Prior to the meeting, from 5:30-6:00 p.m., the City will host a Resource Center with representatives from several City departments and agencies. During that time, citizens will have the opportunity to talk one-on-one with various departments about programs, initiatives and specific concerns.